Do you need keys cut? Maybe shoes re-heeled? Are you after some engraving? Joe from Lakelands Multiservice has you covered. With over 30 years experience, Joe will ensure your new keys, garage remotes, shoes, glasses (the list is endless) are fixed perfectly. 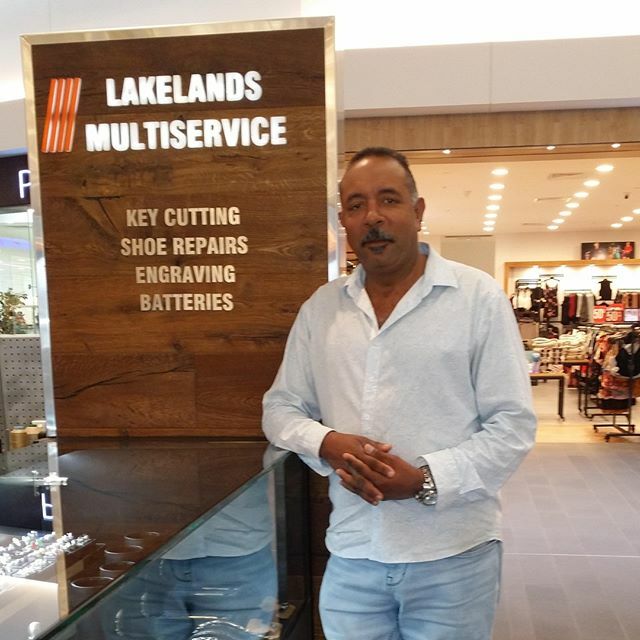 Next time you’re in centre, post past Lakelands Multiservice and see just how Joe can help you. Lakelands Multiservice, located outside Kmart.